Greenpeace is seeking an experienced and detail oriented Grants and Reporting Manager to manage the grant reporting function of Greenpeace USA, an organization with an annual budget of approximately $37 million and a full time staff of more than 500 employees. The incumbent will also ensure all grant transactions are accurately reflected in the accounting system and all grant reports are completed timely. This position is also primarily responsible for coordinating the completion of all quarterly and annual reporting to Greenpeace International and will oversee other special reporting projects for the Finance Department. Work directly with Greenpeace Development and Program managers to ensure compliance with all grant restrictions and the grant policies that govern Greenpeace, Inc. and Greenpeace Fund. This includes generating recommendations for improvements in programmatic and fiscal operations, introduction of best practices, and greater operating efficiencies in the business processes. Coordinate with Greenpeace Development and Governance liaison to ensure timely presentation of grants to the Greenpeace Fund Board and timely distribution of grants after approval. Manage the post award grant accounting life cycle, including but not limited to: as necessary, establishing a new cost center and budget in the accounting system; training the program manager on grant procedures and compliance; performing compliance analysis of allowable grant expenditures. Prepare the financial information related to reporting to the Greenpeace Fund Board for all Greenpeace, Inc. funding. Provide oversight to grants management function including budget development, contracting, reporting/monitoring and grants receivable and payable management. Complete expenditure reports for donor reporting and any special reports as requested by Development, the Program Managers and/or the Controller. Review monthly financial statements for all grants or activities supported by grants to ensure expenses are appropriate. Prepare all grant journal entries and reconciliations. Maintain financial records for each grant. Train program managers on their fiscal responsibilities for any grants they administer or oversee. Create new cost centers as necessary to properly maintain and track grant activity. Maintain complete and accurate electronic and hard copy files for all grant transactions. Maintain the Finance Department’s policies and procedure manual for all grant related policies. Prepare all grant-related schedules for annual audit requirements and complete other duties related to the annual audit, as needed. Primarily responsible for preparing all quarterly and annual reporting to Greenpeace International. Primarily responsible for preparing all schedules for the IRS Form 990 for Greenpeace, Inc. and Greenpeace Fund. Perform other special projects as requested by the Controller. Bachelor of Science in accounting and experience with grant reporting and administration. Minimum of 5 years of experience working with grant activity. Can work on most routine tasks independently and confers with supervisor on complex work assignments or unusual work situations. A strong attention to detail and willingness to support the Finance team in delivering high quality reporting. Strong proficiency in Excel, communication and interpersonal skills are required. High level of integrity with a professional attitude in all dealings. Ability to work independently, develop policies, conduct process reviews, and reengineer processes. Please send cover letter and resume to resumes@wdc.greenpeace.org by May 23rd, 2014. Please include the following in your cover letter: a specific explanation of your interest in the available position and how you found out about this career opportunity. Please use the email subject line: GRANTS AND REPORTING MANAGER- YOUR NAME. No phone calls please. 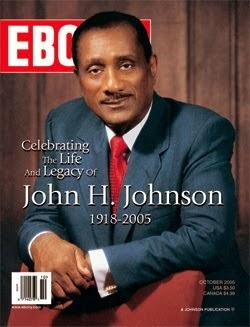 In the May issue of EBONY magazine, the publication partnered with the W.K. 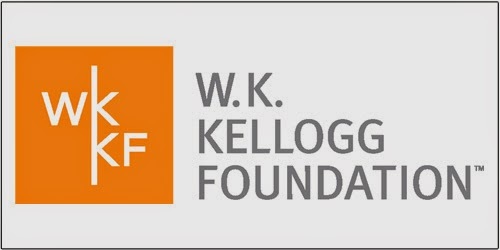 Kellogg Foundation (WKKF) to release the State of the Black Family Survey. In the study, a national sample of 1,005 African-American respondents identified job loss and financial insecurity as the number one issue confronting Black families. The survey polled African-Americans on their views on the economy, education, relationships, race relations, health care, employment, finances and media trends. · 74% think society isn’t doing enough to support young men and boys of color. · Almost two-thirds of respondents say they are better off financially than they were five years ago, but 82% are concerned that Whites still make more than Blacks for doing the same jobs. · 52% see the media portrayal of African-Americans as generally negative. · 60% of respondents agree we are making progress in providing access to health care. · 50%, however, feel that we are losing ground in reducing the gap between rich and poor. · Almost 1/3 are concerned that their children are not getting a quality education. · 30% said “improving the creating more jobs/good paying jobs” as a top issue of concern. La June Montgomery Tabron, president and CEO of the W.K. Kellogg Foundation, noted that poll respondents expressed concerns about the impact of racial bias and the income inequality gap that is prevalent within the African American community, as well as other demographics in American society. "We have a lot of work to do in creating jobs and making sure that people of color receive the training and education needed to obtain those jobs," she said. "We believe the lack of employment is really critical and impacts a child's well-being and limits opportunities." Montgomery Tabron said that President Obama’s ‘My Brother’s Keeper’ initiative is bringing government, the private sector and non-profits together to address the obstacles faced by boys and young men of color. She said the initiative exemplifies the type of public-private partnerships needed to improve life outcomes for communities of color. “By directly engaging the business sector to promote racial equity,” she said, “we will create a healthier, better educated and more diverse workforce, help close the minority earnings gap, and provide an overall boost to the economy." EBONY is the No. 1 source for an authoritative perspective on the African-American community. The monthly magazine, now in its 68th year, reaches nearly 11 million readers. EBONY features the best thinkers, trendsetters, hottest celebrities and next-generation leaders of African-Americans. EBONY ignites conversation, promotes empowerment and celebrates aspiration. Available nationwide on newsstands and the iPad, EBONY is the heart, the soul and the pulse of African-Americans.